Why it’s daunting: With the death of Junior Murvin in December, reggae lost one of its most influential voices. But the subgenre of roots reggae also lost a prime mover. After coming into existence in the early ’70s, roots reggae rode a rising tide of political and spiritual consciousness—particularly in regard to the Rastafarian faith—that ran counter to the more romantic air of its immediate predecessor, rocksteady. Roots reggae dug deeper, both thematically and sonically, directly addressing poverty, brutality, and Rasta culture with a sparser, darker sound that evolved parallel to dub—to the point where the two became inseparably intertwined. But roots reggae, in spite of its experimentation with the concept of studio-as-instrument, remained primarily a singer-songwriter’s domain. And while Bob Marley became roots’ most visible and bankable icon by far, his legend and fame continues to overshadow multitudes of worthy artists like Murvin—who together not only influenced everyone from Eric Clapton to The Clash to Jay Z, but also unleashed a flood of recordings that have attained the status of classics. If any one subgenre of reggae spawned the stereotypical complaint that “it all sounds the same,” it’s roots. But once that gross misconception is swept away, a broad and consistently underappreciated spectrum of roots emerges, from the aching and ethereal to the brooding and revolutionary. Why: Dozens of roots reggae anthologies have been compiled since the subgenre’s ’70s heyday, but none can compete with the soundtrack to Rockers. The film (and accompanying album) came out in 1979, and it encapsulates roots just as it was about to give way to the more upbeat sound of ’80s dancehall. Taken together, the songs and artists featured on the record provide just as vivid a snapshot of Jamaican culture as does the film. Along with fierce tracks from Peter Tosh and Bunny Wailer—both solo artists after spending formative years harmonizing with Marley in The Wailers—are songs from rising stars like Jacob Miller (both solo and with the band he fronted, Inner Circle) and Gregory Isaacs. But towering figures such as Murvin and Burning Spear and also appear, in addition to the rocksteady-turned-roots outfit The Heptones, which lends a righteous gravitas to the album that’s only grown over the decades. Murvin’s contribution, “Police And Thieves,” became known to a wider audience after being covered by The Clash—but there’s no beating the keening, hymnal, Curtis Mayfield-esque power of the original. Next steps: Even if “Chase The Devil” were the only song Max Romeo had ever recorded, he would have been recorded in the annals of roots as a singer of prophetic resonance. Luckily, he released much more than that—and the album “Chase The Devil” appears on, 1976’s War Ina Babylon, stands as one of roots’ major works. Produced by Lee “Scratch” Perry at his studio Black Ark, War Ina Babylon is part of what would become known as his “holy trinity” of albums (the others being Junior Murvin’s Police And Thieves and The Heptones’ Party Time)—a hat trick that cemented Perry’s stature as a roots architect (that is, when he wasn’t being a roots astronaut). But it’s Romeo’s supple yet authoritative vocals (as well as the superb backing by Black Ark’s house band, The Upsetters) that turn Perry’s atmospheric, effects-laden production and make War Ina Babylon far more than the sum of its rhythm and voice. Although not officially considered part of Perry’s “holy trinity,” The Congos’ Heart Of The Congos is one of Black Ark’s most stunning productions. Saturated in echo and shadow, the 1977 album nonetheless manages to straddle everything from bleak, end-times testimony to melancholy lamentation to relatively breezy and uplifting tracks like “Solid Foundation.” As if the group’s trio of poignant yet steely singers needed any assistance, fellow roots legends The Heptones and Gregory Isaacs provide backup, forming a thick, rich layer of harmony that oozes from the songs like molasses. There’s a deceptive brightness to Culture’s 1977 album Two Sevens Clash—a friendly, inviting sunniness that conceals a militant Rastafarianism and iron core of passionate idealism. It’s no wonder the punk movement that reached full steam in England the same year drew so much inspiration from it. The album’s apocalyptic undercurrent doesn’t hurt, either—but rather than sounding condemnatory, Two Sevens Clash is a celebration in the face of imminent Armageddon. It’s also one of many winning productions by Joe Gibbs (a former partner of Perry better known for his lighter rocksteady work) and Errol Thompson, who produced together under the name The Mighty Two. Many roots artists preached in broad terms and big ideas. Others, like Mighty Diamonds, made it more personal. 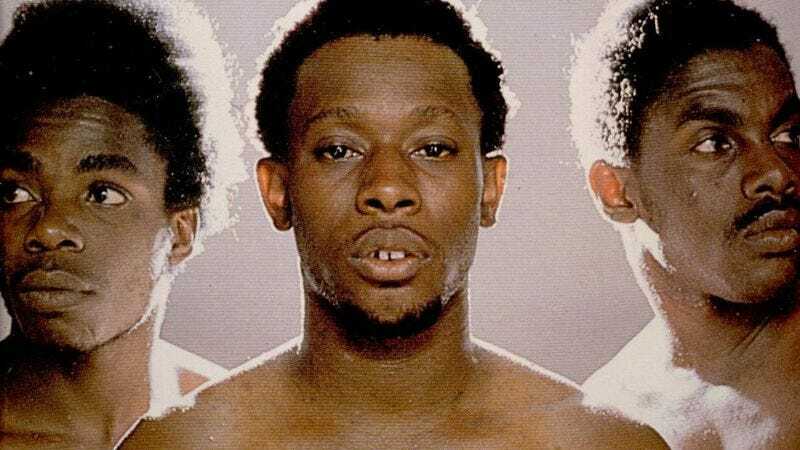 On Right Time, the trio’s 1976 debut, a more humble, intimate, and everyday approach to roots helped make the group one of the first of the subgenre’s commercial hopefuls following the breakout success of Bob Marley. In particular, the album’s highlight, “I Need A Roof,” addresses homelessness and hunger in a way that cuts through all the sermonizing, right to the nerve of how it feels to be in need. That doesn’t mean Right Time skimps on outrage, critiques of violence, or biblical portent. But the way it translates social consciousness into soulful entreaty is nothing less than heartrending. Bob Marley is roots’ greatest exemplar—and its greatest exemption. But before he became a household name (and a veritable messiah to some) around the globe, he and his Wailers made Catch A Fire. Let loose in 1973, the album is Marley’s first fully mature work, a statement of strength and intent that harnessed the heavy sounds and sentiments of roots while overtly appealing to mainstream rock audiences. Within a year of its release, fellow Wailers founders Bunny Wailer and Peter Tosh would leave the group to go solo. But their synergy with Marley on Catch A Fire marks the point at which roots reggae turned from a spark into a flame. Where not to start: Many great roots artists continued making solid music well into the ’80s (and beyond). By and large, though, roots became lighter and less adventurous after the aggressive stance and striking innovation of the ’70s had faded. With that in mind, 1979 stands, not only as the release date of Rockers, but also a rule-of-thumb benchmark of the subgenre’s apotheosis; it’s best to save post-’70s roots for later exploration. And as much as Lee “Scratch” Perry is essential to the sound and spirit of roots, very little of his prodigious output, even in the ’70s, falls squarely in the roots camp—partly because he’s always been more of a mastermind than a deep, melodic roots singer. When getting acquainted with roots, it’s better to look for Perry’s name in the production credits than on the front of the album.